I remember the very first time I ever saw Breakfast at Tiffany's. It was the summer before senior year of high school and the movie was playing on AMC. I was immediately taken aback by Audrey Hepburn's beauty, grace, and style. Over 14 years later, my obsession and one sided love affair with Audrey remains. But now, I also look up to Audrey for her courage, strength, and work with UNICEF as a Goodwill Ambassador and humanitarian efforts. 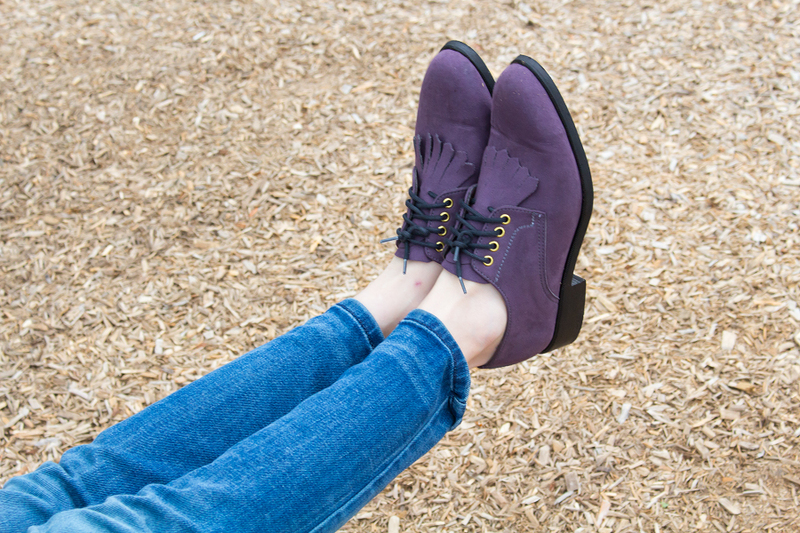 During the Spring 2017, Nicora released an Oxford-style shoe with the name Audrey. They are available in three colors, black, purple, and sand, and come with two decorative style options, detachable fringe/traditional and studded. They are versatile all year round, but I especially love how perfectly they transition into winter. I have always had such a difficult time, and have never been successful with, finding a cute, fashionable shoe that covers the entire foot during the cold months. Luckily, I do not have to search any longer. Additionally, they are super comfortable and can be worn alone, with socks or tights. Although I traditionally do not gravitate toward purple, this specific shade really spoke to me. They are so classy, fun, and stylish; I truly believe that if Audrey Hepburn were alive today, she would wear these shoes. 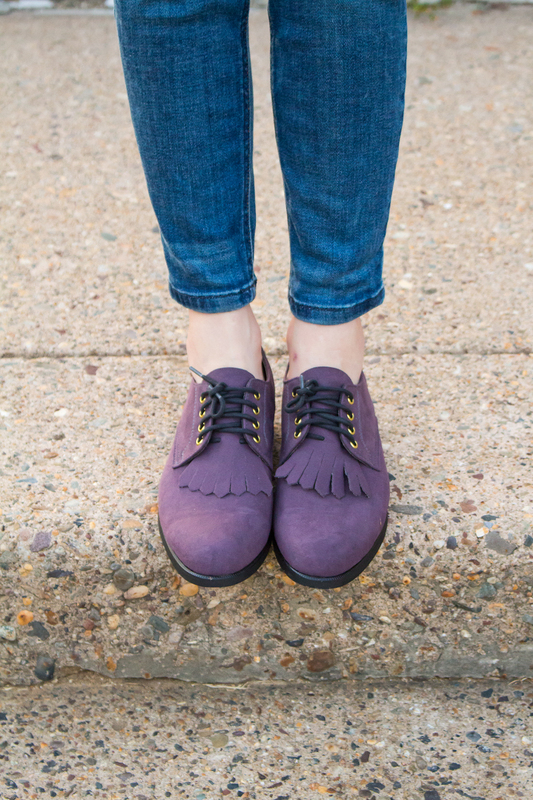 never gave serious thought to a purple shoe until I saw this one and how cute you look wearing it! I am so excited that the Vegan Chickpea is back! It has been way too long. I love your shoes and I love that they are called Audrey. Growing up I thought Audrey Hepburn was gorgeous too! I'm so torn on this. How are they for comfort without socks (blisters?) and how is the cushioning for long city walking? Yay!